What comes out to your mind when mentioning about USB cable? A bundle of nettlesome cable tangled in knots? Or you just forget where you've placed it? Then I think you need a CAFELE stretchable USB cable! Pay attention to: In one direction pulling the line is permitted. 2 in 1 data cable allows data transfer for iPhone / Android smart phones. Copper core wire inside reduce the resistance of current, support fast charging. Gilt USB port and cable with great tenacity makes it durable. Stretchable 1m cable for free flex and easy storage. 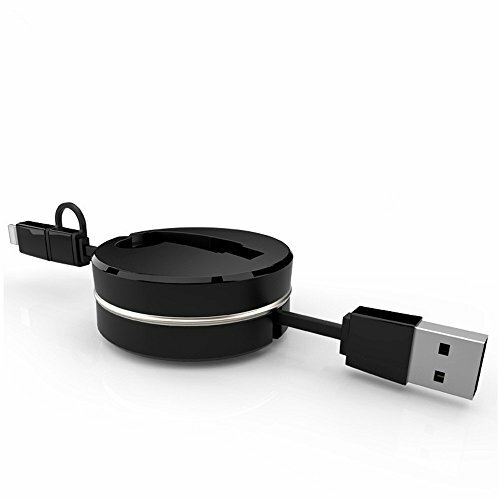 Humanized groove design effectively prevents friction of USB port. If you have any questions about this product by CAFELE, contact us by completing and submitting the form below. If you are looking for a specif part number, please include it with your message.